We have daily and monthly builds of our Java PDF library, but is a little while since we did a really major release. So we thought we should give you some details…. The big change in JPedal 6 is a complete rewrite of our image subsystem which is now an order of magnitude faster (and uses less memory). The biggest boost has come from totally replacing JAI and we have almost phased out ImageIO. This has also allowed us to ensure that we can now handle all the JPEG2000 images which JAI could not process. It also makes it easier for us to fix image issues in future. As part of the Image subsystem, Pattern handling has had a rewrite and now handles the odd Pattern cases in PDF files much better. 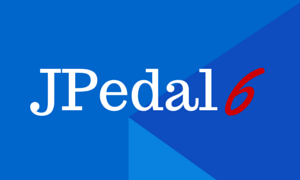 I have just tried the latest JPedal and it is certainly much faster but the “carousel” button on the bottom right is always disabled. Is this just because you haven’t implemented this feature in this version yet? That was my favourite feature in the older version. It is not added yet. We have been enabling features as we go along.